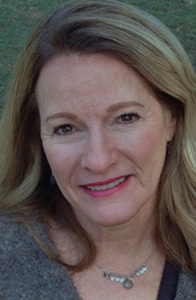 Elaine Drewyer is a psychotherapist practicing at the National Family Resiliency Center (NFRC) with an extensive background and specialty working with children and families. As a licensed clinical social worker, trained collaborative divorce coach and child specialist; she has a passion for supporting thoughtful design and implementation of processes to help families with transitioning through change and loss. Through Elaine’s experience of partnering with both children and adults, she recognizes the significant support families gain from professional help throughout the hills, valleys and mountains of their lives. She works closely with children and caregivers to address family transitions, extending a warm and practical understanding to all family members. Her aim is to support each individual’s discovery of the most effective, comfortable, and positive adjustment to the family change. Empowering parents to help their children through loss, grief and their adjustment to their family change in today’s fast-paced, ever-evolving climate is a fascinating challenge at the core of Elaine’s approach. As a collaborative divorce coach and child specialist, she applies a systemic eye to developing co-parent relationships. Her careful crafting of Parent Plans guides effective, child-focused, and sustainable co-parenting. In addition to practicing as a psychotherapist with individuals, children, and families, Elaine offers her expertise to the community through the design of specialty programs for families in transition. Elaine’s office is located at the National Family Resiliency Center in Columbia, Maryland. She can be reached at 410-740-9553 or by email at edrewyer@nfrchelp.org.